Chabad of North Irvine is one of over 2000 branches of today's largest international organizations involved with Jewish education and outreach programs. Embracing the philosophy of the Lubavitch movement, which originated in the town of Lubavitch in White Russia during the 18th century, Chabad's underlying doctrine is "Ahavat Yisrael" (love for a fellow Jew). Chabad recognizes no differences between Jews; its goal is to serve the spiritual and physical needs of each Jew regardless of affiliation, wherever he or she may be, with understanding and with love. By means of a rare combination that blends traditional Judaism with modern day techniques, Chabad has found the formula to develop a rapport with the most alienated of Jews and to enhance their outlook. By arousing an intellectual and/or emotional interest in our faith, Chabad-Lubavitch has become the catalyst to re link Jews with their Jewish roots and revive the sparks of Jewish consciousness in the hearts and minds of each Jew. Chabad of Irvine has served the Jewish community in South Orange County since 1979 and in 2007 expanded it's operation with the establishment of a center in North Irvine to serve the needs of the communities of North Irvine, South Tustin, and Lake Forest. 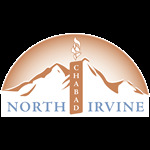 Chabad of North Irvine runs its services and programs from a beautiful 2,000 square foot facility in the Northwood section of Irvine. In conjuction with the main Chabad center located in Woodbridge section of Irvine, Chabad serves the Jewish community with Synagogues, Hebrew School and other educational programs, including Adult Education and Chabad Worldwide Social and Humanitarian outreach programs. One of the primary aspirations of Chabad is to generate a resurgence of Jewish tradition and awareness throughout the community. By arousing intellectual interest, Chabad is able to re-link Jewish adults with their roots as they are enabled to discover what was previously vague and unavailable to them. We invite you and your family to look through this site and notice the various activities, educational and social programs being offered by Chabad. We would like to personally invite you to join us for any or all of these exciting projects.